Since Dropbox acts as an automatically syncing extension of your computer’s hard drive, setting downloads to go directly there save a lot of time. This Chrome extension does just that. Did you ever need to save a file from the web, so you could use it on other devices? 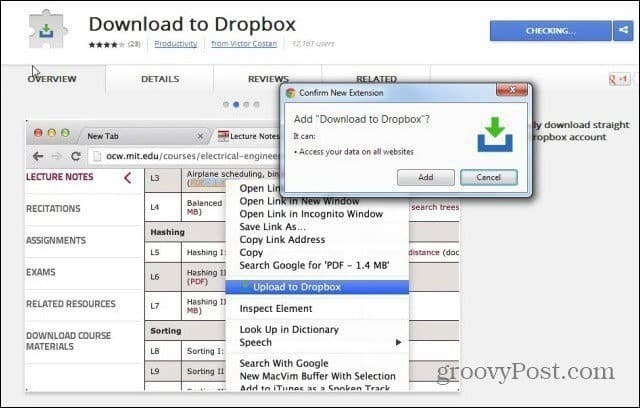 The process is made much simpler by this Google Chrome add-on, which will send files straight to your Dropbox folder, from the right-click menu. Here’s how. First, install Download to Dropbox, from here. 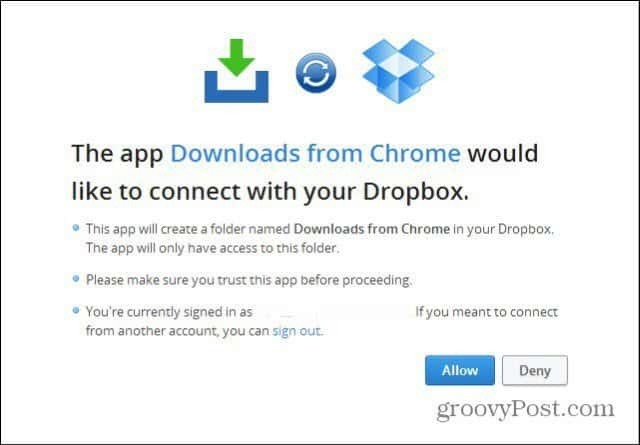 You will then be asked to sign in to your Dropbox account (If you aren’t already signed in), and then to Allow the extension to connect with your Dropbox (you can always remove it from the list of allowed apps). After that’s done, make sure you restart Google Chrome. 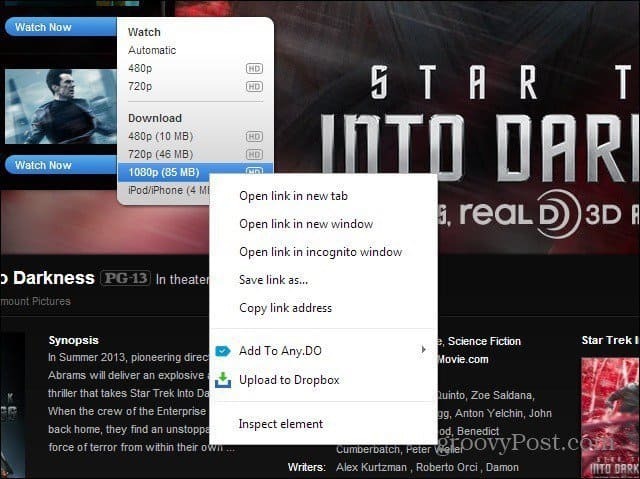 You’ll notice that you now have a new option in your right-click menu, allowing you to save basically everything from the web pages you visit to your Dropbox. In the screenshot below, I’m using it to save a trailer. 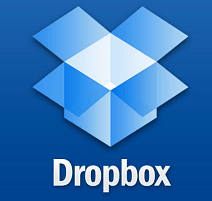 You just keep the mouse cursor on the link, right-click, then click Upload to Dropbox. That’s it! The file will be downloaded into your Dropbox. It’s not very fast, but it does work pretty well. You’ll find the saved files under Apps/Downloads from Chrome in your Dropbox folder (the same one where free books you get from Project Gutenberg are saved). A lovely idea, well-executed. Thanks for blogging about this. Installing it now!